New Delhi: “When seen from the perspective of reason and rationale, the gift of life is the ultimate gift that one could give and organ donation is, therefore, a ‘God like act’ and needs to be encouraged,” remarked Ms Anupriya Patel, Minister of State for Health and Family Welfare at the ‘9th Indian Organ Donation Day’, organized by the National Organ and Tissue Transplant Organization (NOTTO) in New Delhi. Minister further said that it is important to understand that in India it is mainly the living donors who are donating organs and only about 23% of the organ transplant is being done with organs obtained from the cadavers. “There is a need to promote cadaver or deceased organ donation rather than relying on living donors in order to avoid the risk of commercial trading of organs and also to avoid the inherent risk to the health of the living donor,” Ms Patel added. Dr C Vijaya Baskar, Minister of Health, Government of Tamil Nadu, expressed happiness at the announcement of Tamil Nadu being adjudged the Best State in Organ Donation for the fourth time in a row. He highlighted the exemplary work that Tamil Nadu had done in retrieving organs from donors; and had been the first state in India for various initiatives like mandatory certification of Brain Stem Death, streamlining organ distribution and setting up green corridors. 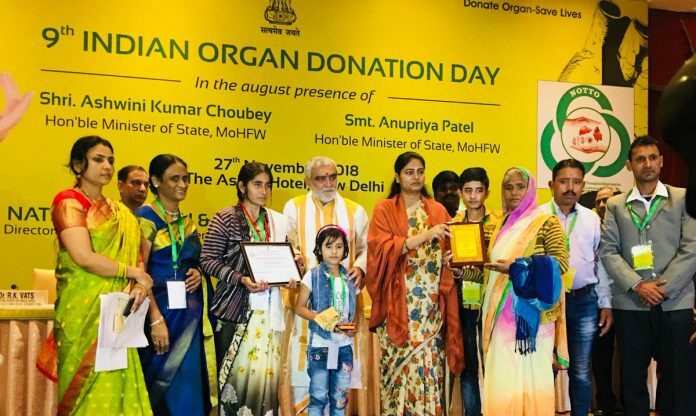 Ms Preeti Sudan, Secretary (Health), applauded the donor families and congratulated the state of Tamil Nadu for leading the nation in the field of organ donation. She urged the people to tell their near and dear ones about their willingness to donate organs so that it can be done smoothly after they are gone. “Gift life after life, let’s make life better even after we are dead,” she said. At the event, the Ministers felicitated the families of deceased organ donors from various parts of the country. The best performing State of Tamil Nadu was also felicitated. The State of Maharashtra received an award for being the best State for promoting awareness on organ donations. 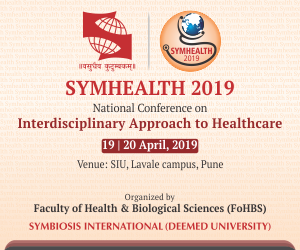 Dr Subramania Iyer K, AIMS, Kochi was felicitated for conducting first hand transplant in the country and Dr Shailesh Puntambekar, Pune, received the award for conducting 1st Uterine Transplant in India. Special awards were also given to the collaborating institutions and organizations at the awards ceremony.